October 17, 1936 – Elma Lockwood “Ma” Streeter dies at the Cook County Hospital. She was the daughter of Ashwood Lockwood who came to the area around today’s Elkhart, Indiana in 1839. She was the indefatigable wife of George Washington “Cap” Streeter who in 1883 ran his boat, Reutan, aground on a sand bar about 450 off the shore east of what is today some of the most valuable real estate in the city. As sand accumulated around the craft, he realized that it would be better to stay put and take advantage of a law allowing Civil War veterans to homestead on unclaimed land. The silting action of the lake had land piling up around the Reutan, and Streeter claimed it as his, declaring it the United States District of Lake Michigan or “the Deestrict.” Nearly two decades of run-ins with the law followed, and “Ma” Streeter watched it all as her husband was arrested, tried, convicted and set free only to repeat the process all over again. In 1918, three years before her husband’s death, she reacted when hirelings of the Chicago title and Trust Company burned their home to the ground. She charged the group with a meat cleaver, and the men retreated. Her last indignity occurred in 1924 when she filed suit against property owners of “her” land, only to have the suit dismissed because Cap Streeter had been abandoned by his first wife but not divorced, so Ma Streeter’s marriage was declared invalid. In the above photo "Ma" Streeter is shown on her houseboat just a year after her husband died. 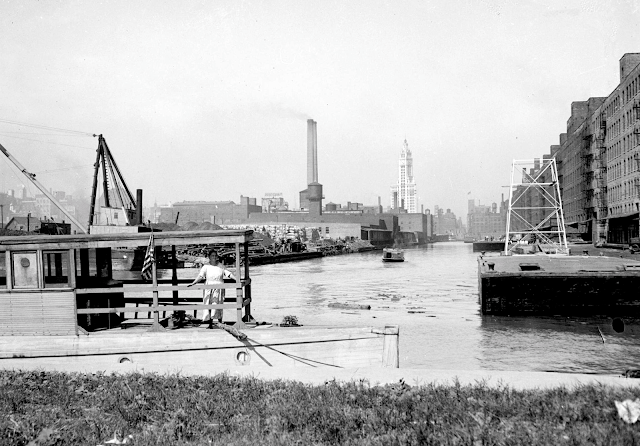 October 17, 1933 – The first man to be jailed for attempted piracy on Lake Michigan is sentenced to six years in the federal penitentiary by Federal Judge James H. Wilkerson. 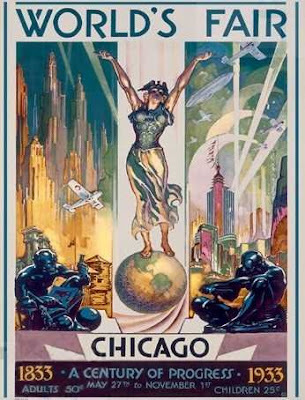 The United States District Attorney is able to show that the 28-year-old man, Joseph Pennick, boarded a boat at the Wrigley building and rode it to the Century of Progress World’s Fair on the lakefront. On the return trip, at a point about a mile off Roosevelt Road, Pennick pulled out a revolver and ordered the pilot of the boat to surrender his cash. The pilot, James M. Nester, and another passenger overpowered Pennick, but not before he got off two shots, one of which grazed the passenger’s head. Pennick’s plea was that he had been drinking.